Albert Einstein and Charlie Chaplin quote – Antonio Feijao, Antonio AWS, Antonio Cloud, Feijao UK, AWS Cloud Solutions Architect, Open source, Python, Amazon Linux, Ubuntu, CentOS, Redhat, Linux, Networking, Cisco, Firewall and IT Cyber Security passionate! 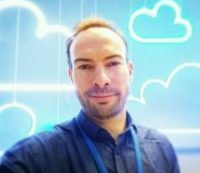 Antonio Feijao, Antonio AWS, Antonio Cloud, Feijao UK, AWS Cloud Solutions Architect, Open source, Python, Amazon Linux, Ubuntu, CentOS, Redhat, Linux, Networking, Cisco, Firewall and IT Cyber Security passionate! Welcome to my personal website! AWS, Open-source, Linux, Networking and IT Cyber Security and gadgets are my tech passions! “What I most admire about your art, is your universality. You don’t say a word, yet the world understands you!”. Next How many CPUs or Logical CPUs are on my MacOS ? How many CPUs or Logical CPUs are on my MacOS ?